“Isn’t it amazing how the decision you make today are creating your future? Live deliberately” – MH Gideon. God created you and I and gave us the powerful package of choice and of decision making, God gave His sixth day creation which includes you free will. It was clear from the beginning that man was vested with the power to choose everything save the tree of knowledge of good and evil which was at the center of the Garden of Eden. God already gave us the power of choice and of freewill, he will never impose His own choice, He will only make recommendations based what’s best for us. …choose for yourselves this day whom you will serve, … Joshua 24:15 [AMP]. The power of choice and of decision making is a gift from God, this gift can either make us great as in the case of Daniel, Joseph and Abraham or destroy us bringing our destinies to an abrupt end as in the case of Samson and Judas who chose the wrong path of life. One thing remain constant: the quality of your life is a direct image of the choices and decisions you make. Your rise and fall in life and destiny is hanging on the shoulders of your decisions and personal choices. Your decisions are manifested in your choices. The type of person you are or will be is manifested by the type of choices you make, who you really are is shown not by your fluency in written and spoken English, not by your material possessions and abilities – who you really are is shown by your choices. If you are a failure, you will always tend toward failed and failure spinning choices and decisions. It is not possible to make wrong choices and end at the right destiny. Your decisions and or choices are very important as they are seeds sown which will yield bountiful harvest in the future. Your choices today should be such that will fashion a wholesome future for you. Your decisions today are building blocks, been laid up to build your future. The consequences in your life are a direct offshoot of your choices today, whether the right or wrong choice, you cannot escape the consequences. Your life is either wasted or invested by the choices and decisions you make. Since our whole life is a band of choices, every decision taken per time must be seen as the most important decision in life. High importance must be attached to every decision taken per time. This will largely reduce the chances of making the wrong choices. Tony Robbins asserted that “It is in the moment of your decision that your destiny shaped”. The shape of your destiny depends on the circumference of you decision. Where decision has not be made, resources needed for the fulfillment of destiny will not be released, it is your decision that would determine the release of graces either for fulfillment or abortion of your destiny. It was Daniel’s decision that resulted in God causing him to be favoured and compassionately treated by the chief official. Your decisions always attracts either support from heaven or confrontation from hell. Consignments are always released to anyone who would dare decide on his assignment. When you make up your mind about something, every other elements would follow the intentions of the mind – the mind controls the outcome of everything. In everyone is the tenacity to do anything – the only challenge is the decision to do. Tenacity is correctly channeled by the correct decision. Decision is not decision until there is an action taken in the direction of your decision. It is important you know who you are – this will shape your decisions and streamline and reorganize your choices. Ray Disney is noted to have stated that “it is not hard to make a decision ones you know your values”. ARE YOUR CHOICES AND DECISIONS CONSISTENT WITH WHO YOU ARE? 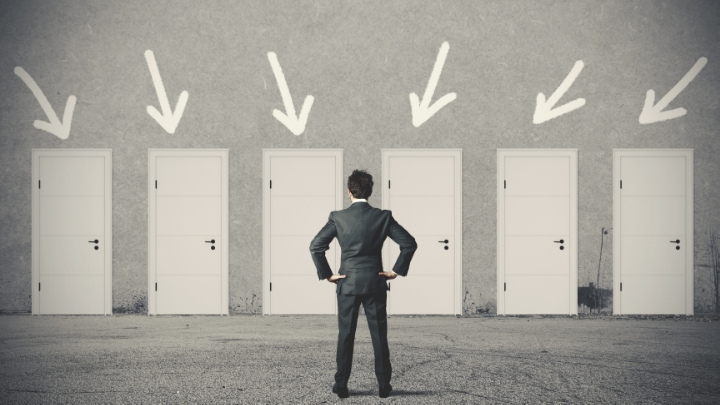 WHO IS IN CHARGE OF YOUR DECISION MAKING? It is unfortunate that many in this time and season cannot make decision by themselves, many decisions are controlled by parents, peers, TV and social media society and circles, etc. these ones are not ready for an impactful existence. There is no impact on earth without the decision to be a person of impact, champions and high-flyers always make the right decisions and choices. Your decision to abstain from that destructive lifestyle, your decision to forego your desire for a new shirt to buy that new book, your decision to maintain fellowship with the Father might not produce visible results today but like seeds planted your right decisions and choices would yield unimaginable results for you. On our own we don’t know the right decision to take and the best choice. We only to connect to the Lord in reverent fear and worship – He would teach and guide us in our choices.